Wireless internet has changed the way we get driving directions, deposit checks, and other once time-consuming tasks. But medical facilities haven’t yet fully taken advantage of the power of wireless data flow to save time and improve standard of care. CardioView is working to change that. We know that you don’t have time to change your existing Wi-Fi, records and other systems to fit a new telemonitoring system—instead, our technology works seamlessly with what you already have. 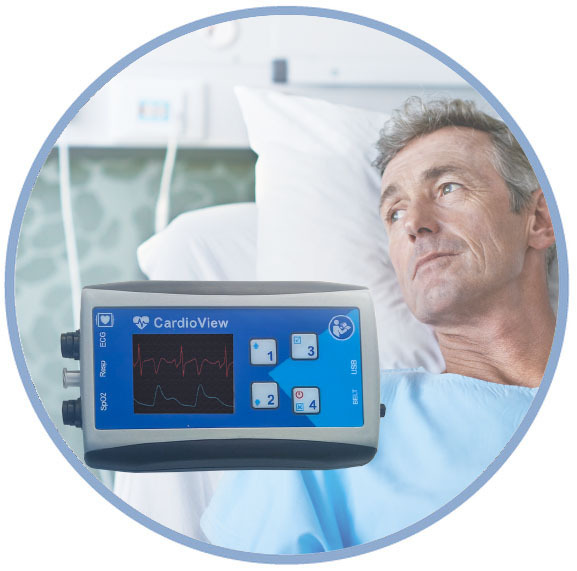 Real-time data from CardioView devices can be sent to a hospital’s Electronic Medical Record (EMR), Distributed Alarming System, and related middleware engines. To increase convenience and enterprise portability, the system is also designed to receive patient demographic information to associate patients with CardioView devices. CardioView helps medical facilities improve their standard of care, but we’re also valuable to researchers. Our systems’ easy access to data makes it simpler for medical researchers to view, analyze and make use of data from the trials they conduct—whether it’s on just a few or hundreds of subjects. CardioView Gateway Access API enables you to cost-effectively develop custom applications that support in-house clinical research projects. You will be able to consolidate and export information to management systems and databases for data analysis and reporting. The CardioView API developer’s toolkit makes it possible to interface with third-party and custom applications such as intake and assessment systems. Data access tools enable you to customize the presentation of clinical data, via either a sophisticated Application Programming Interface (API) or an easy-to-use utility that exports ASCII text files for legacy systems. All of this makes our technology essential to research applications.